An arrangement of the boy's room is as pleasant and interesting an occupation as it is responsible, difficult and expensive. 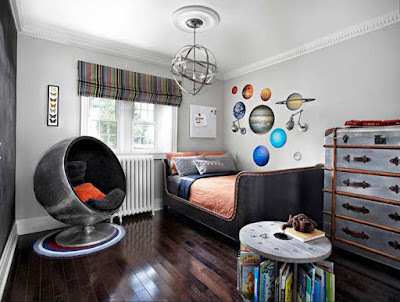 Obviously, the design of the room for the boy will depend on the size and shape of the room, the age of the kid, the range of his interests and preferences. 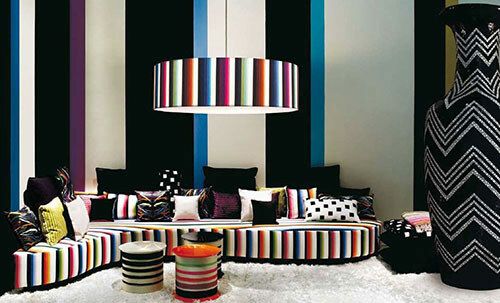 At the same time, the furnishings must be safe and environment-friendly, and the colors are bright and saturated. The design of the kid's room requires very special attention, especially if this room is meant for a young girl. 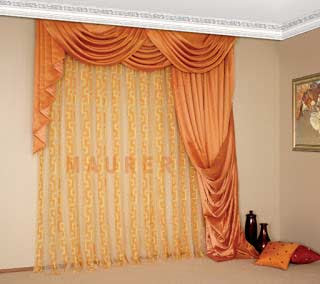 Here is everything matters style, color, furniture, and curtains. 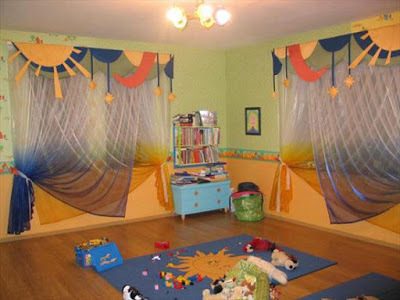 How to choose girls curtains in a kids room? What factors must be taken into account, and what can be neglected? Each parent wants his kid to grow up in an atmosphere of warmth, caring and surrounded only by beautiful and high-quality things. Therefore, to decorate a kid's room is a pleasure, especially if it is intended for a girl. 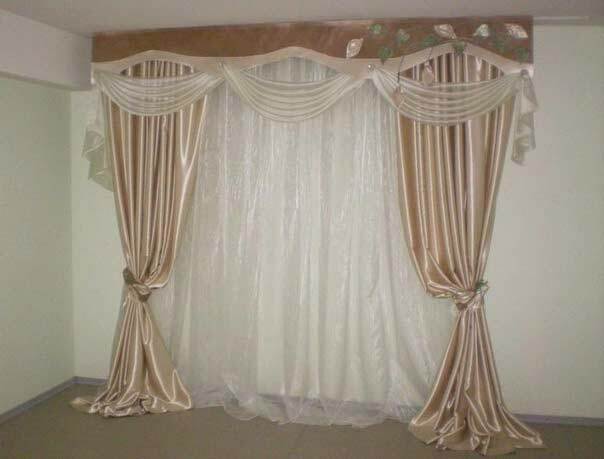 As we mind the lovely decor and comfortable furniture, we should ensure that the other sections of the house are also beautifully designed. 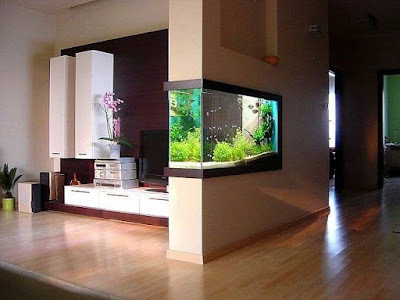 By doing this, you will get a completely comfortable and beautiful house. In addition, if your walls and ceilings are beautifully designed, it may even reduce your need for further decorations. Each interior style has its own character and temperament, which attracts fans. Serious and conservative people choose the classics, lovers of luxury and glamor are guided by art deco, adherents of a free attitude to life prefer a loft. the pop art style in the interior design is preferred by people bright, with a good sense of humor and an indelible note of rebellion. 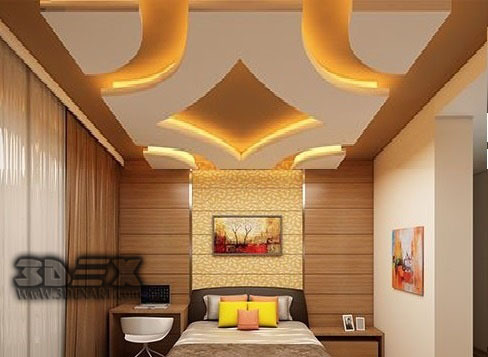 This design will appeal to those who dream of creating an individual, expressive interior. 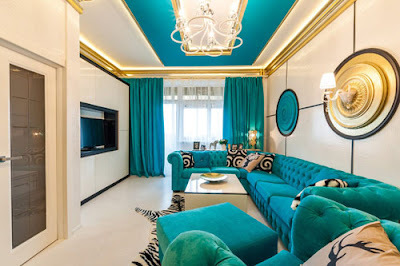 How to design a room in the pop art style, and what stylistic characteristics will become important for this decision? 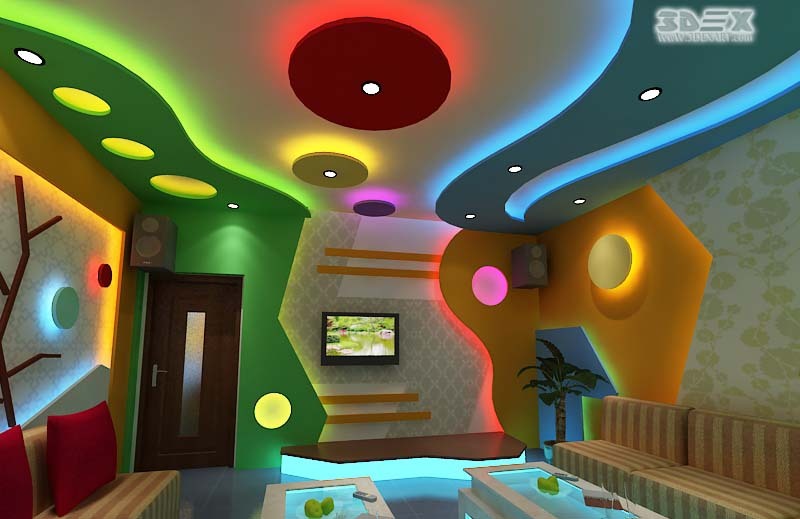 the pop art style is a popular and interesting style of the interior design, which recently is becoming more and more popular. 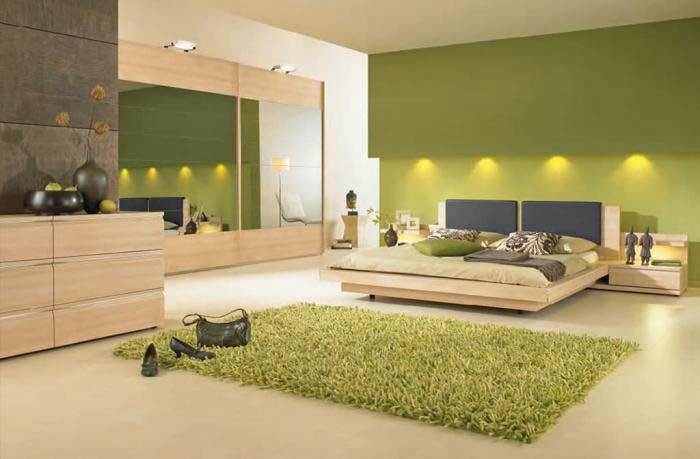 This direction in interior design has passed from the fine arts, which appeared in the 50s of the 20th century. Initially, this style offered to consider various consumer products, as objects of art. To do this, the artists took any surrounding objects and images: banks with Campbell soup, portraits of Marilyn Monroe, newspaper hoods, advertising signs, etc. 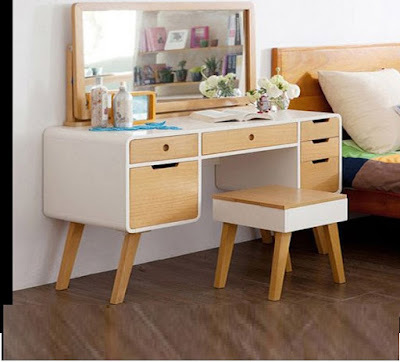 Don't miss: Corner dressing table for small bedrooms. The dressing table is a private corner, hidden, intimate and important for every woman. 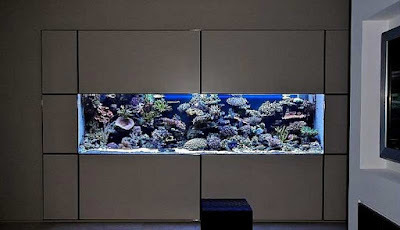 So it is necessary to pay special attention to its functionality and design, access to drawers and their organization. 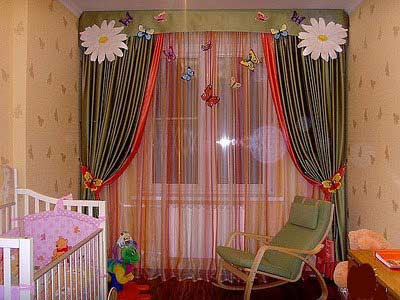 To decorate the windows with curtains you can use a variety of fabrics and the most daring and intricate curtain styles. 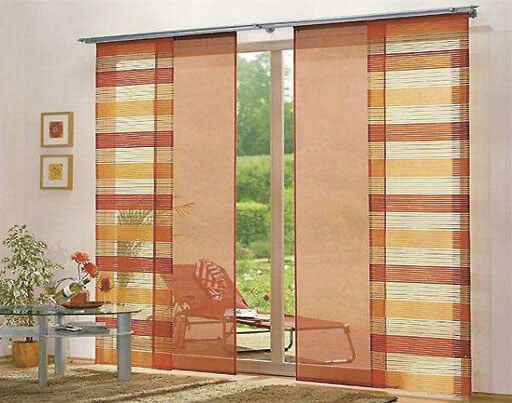 It can be French blinds, classical, Austrian, Japanese, roller blinds, original blinds, Roman blinds, curtains on hinges and many other curtains design styles. 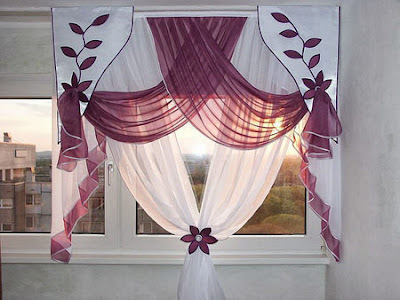 So you can embody the most worthy ideas in the curtain designs. But what curtains are fashionable now? Let's see more .. There is no exact answer to this question - some prefer the classic curtain styles, others tend to modern curtain designs - it all depends on the overall interior and style of your house and your personal tastes. 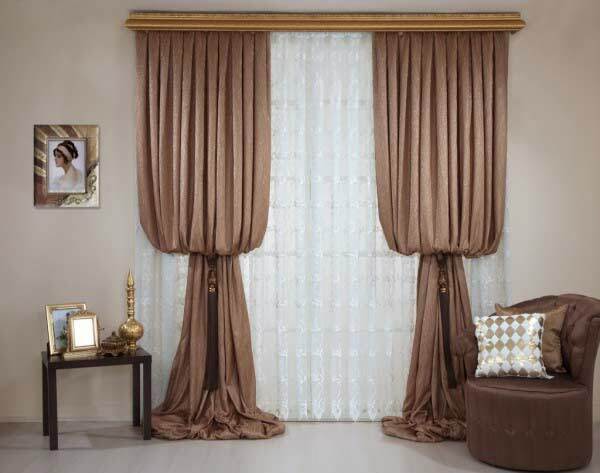 If classic curtains designs are in fashion, and you have modern furniture, do you buy classic curtains? Of course not. 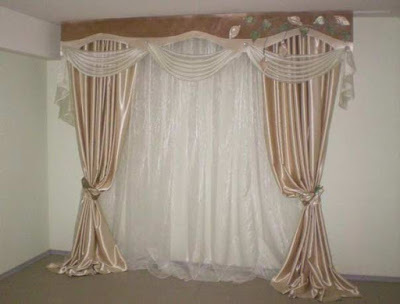 There are a lot of options for curtains. 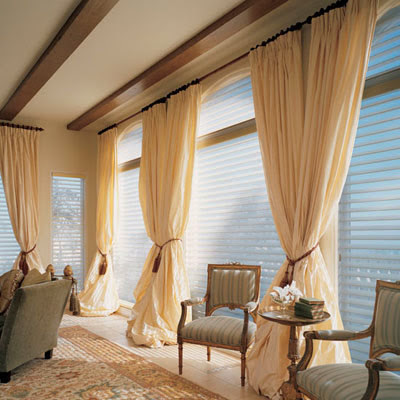 Before choosing the curtains color and design, it is necessary to take into account the style and size of the room. A modern version of the Italian style has its predecessor. It is to him that the design that we are accustomed to owes to many basic characteristics, which are so beloved by a wide circle of the public. 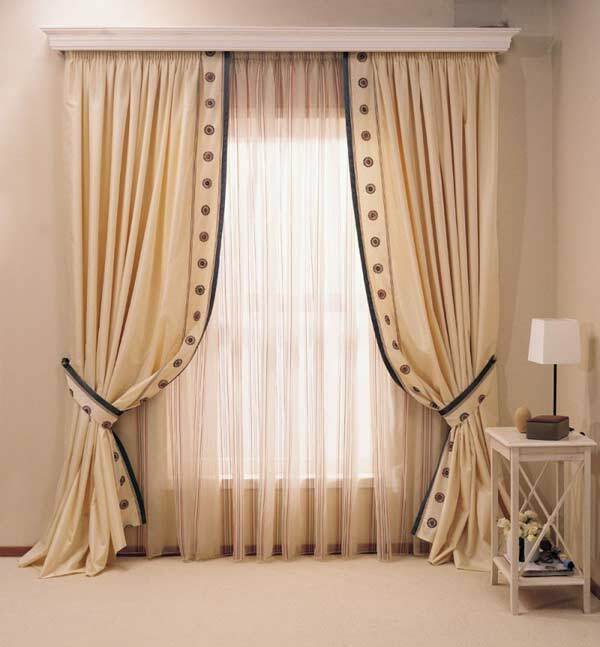 The basis for the Italian style was the design, which is called Tuscan. The name was given to him by the province of Tuscany in the central part of Italy, but it arose, thanks to objective historical and economic historical processes. Demand for ethnic African interior design has always existed, but recently it has started to grow at an accelerated pace. Modern people need more than ever, an emotional discharge, a friendly atmosphere. In a world increasingly acquiring the features of artificial reality, man continues to strive for natural beauty and pristine harmony. 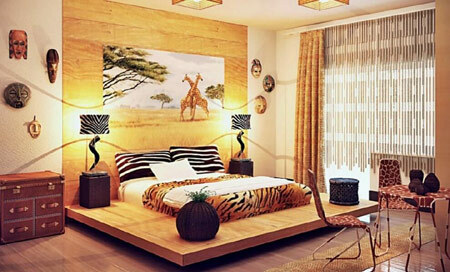 African style in the interior design gives the opportunity to fully enjoy both. 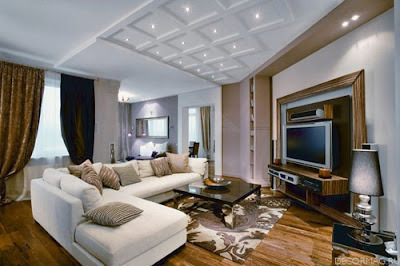 Is it possible to create and freestyle African ethnic in an ordinary city apartment? the totality of the material culture of a certain people. 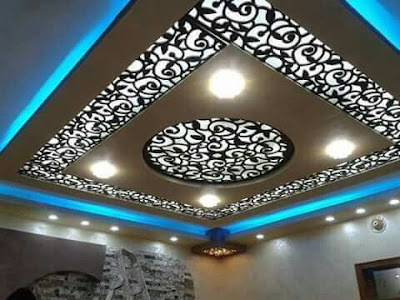 Ethnic style (ethnic-style) is a repetition in the interiors design of the decor of dwellings of another nation, the similarity is achieved by using similar colors, materials, and decorative elements. 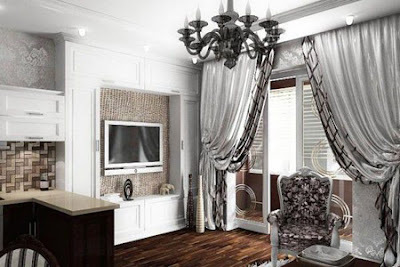 The development of the art of interior design has always been spiraling, and at each new turn a new interest in the classical canons of beauty and harmony flared up. Sometimes these flashes became the beginning of a new direction of design and architecture. The neoclassical style in the interior brightly manifested itself in the late 18th - early 19th centuries, winning many admirers in all corners of Europe. 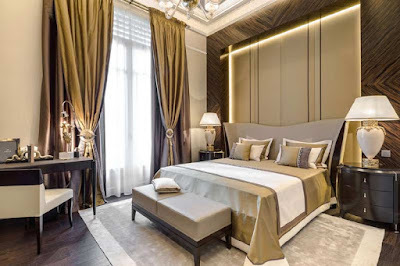 The trends of today's day and the fashion for classical interiors give an occasion to get acquainted with this style and determine how much it can decorate and modernize a modern living space. 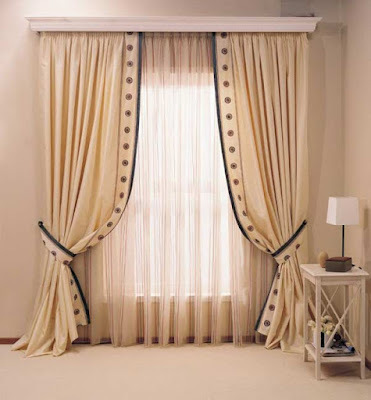 The Art deco curtains owe its widespread to the famous Parisian exhibition of 1925. It was on it was presented modern "decorative art" in the form of various luxury items, including household items. For almost 100 years, interest in this style has flared up, then faded. In recent years, the actual trend has become individual objects and style accents: decorations, individual elements of furniture, textiles.Art deco curtains are very popular. 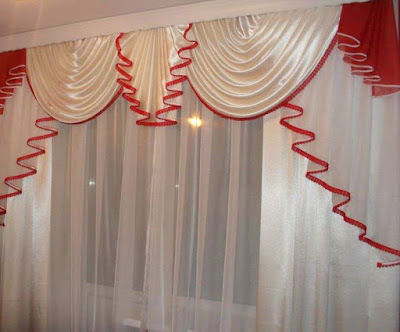 How to choose them correctly, from what materials they should be, and how to write such curtains in different styles of the modern interior? After we mastered the ceiling, it's time to go down to the ground and take care of the arrangement of the floors. Perhaps you have seen the views of street artists who paint amazingly realistic pictures on the pavement, causing passers-by in horror to rush away from the gap gaping underfoot or to stop in admiration at the sight of the volcano crater that appeared right in the middle of the street. This magic is quite within your power. So, as you probably already guessed, today we will do 3D floors with our own hands. 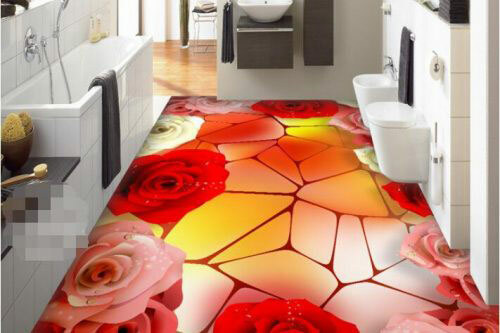 What is 3d floor - 3d epoxy flooring? 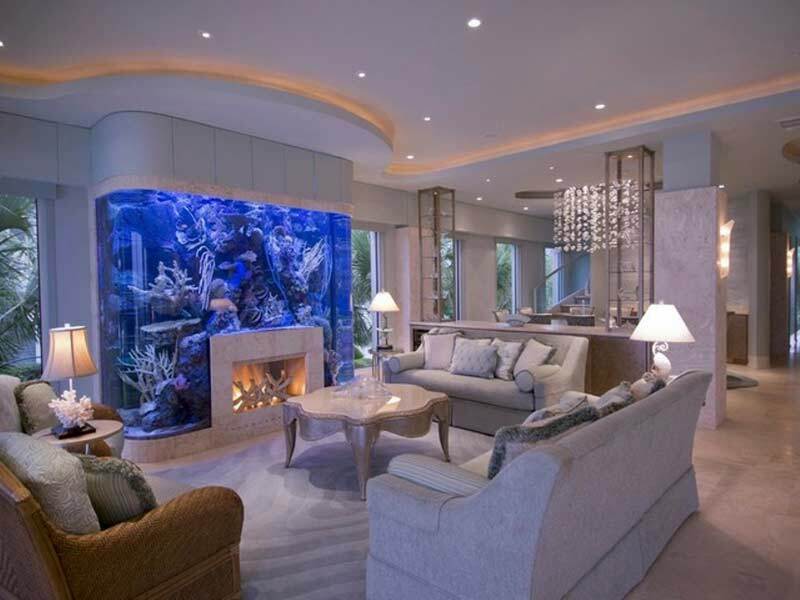 Modern design is becoming more and more technological, innovative proposals for the design of our homes follow the trend one after another. 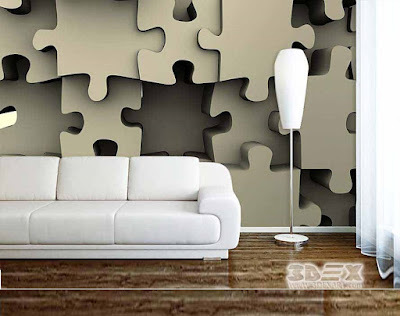 Glow in the dark mural wallpaper - this is one of the novelties that appeared 5-6 years ago, and immediately attracted attention not only with the original performance but also with the many advantages that they provided with their appearance. Try to deal with Glow in the dark wallpaper closer, in order to be able to make your own judgment about it. 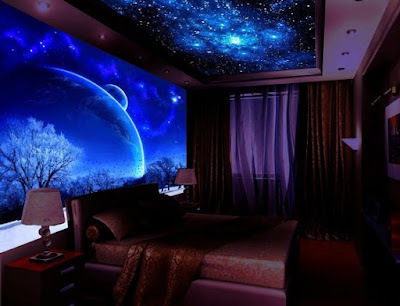 What is Glow in the dark wallpaper for walls? Fashion for Japanese curtains came to us together with a common interest in Asian culture, customs, and life. 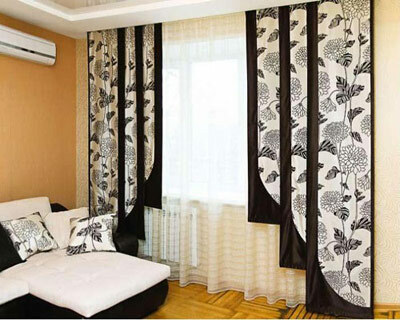 Practicality and elegant simplicity of Japanese curtain panels immediately found a lot of fans and followers. Is not it time for us to get acquainted with these envoys of the island state, which remains so attractive to the broad Russian soul? 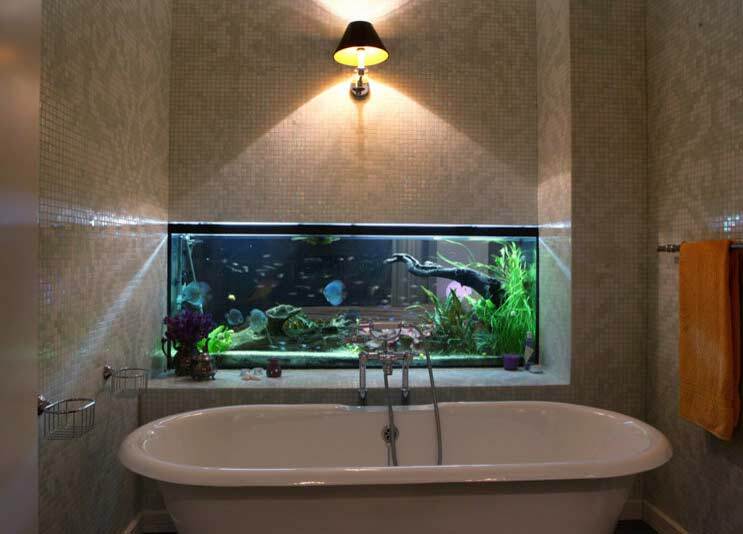 The houses that have more than one bathroom are perfect for when there are kids at home. 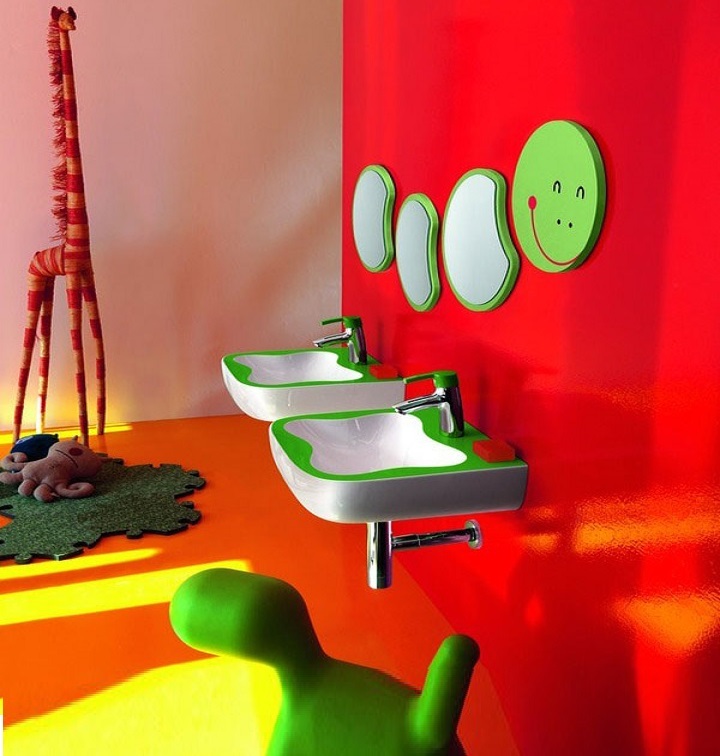 To allocate a bathroom for the little ones is a good opportunity for them to have a space made to relax, where their routine of cleanliness is the most comfortable and pleasant. We present some kid's bathroom ideas for decoration. Separate Kids bathroom decor ideas? Kid's bathroom decoration is not an easy task ... How difficult it is to turn a practical place into a fun place! The truth, it does not have to be complicated. With a little imagination, many colors, skill, and patience you can create a kids bathroom decor that leaves everyone with their mouths open. A beautiful and cozy bedroom is a guarantee of your good mood and high working capacity for the whole day. 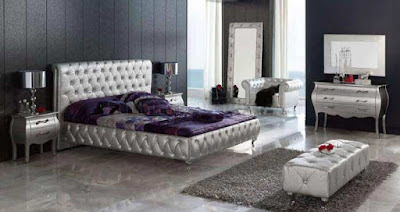 How to make the head of the bed a stylish and catchy element of the interior? What should I consider when choosing bedroom furniture? 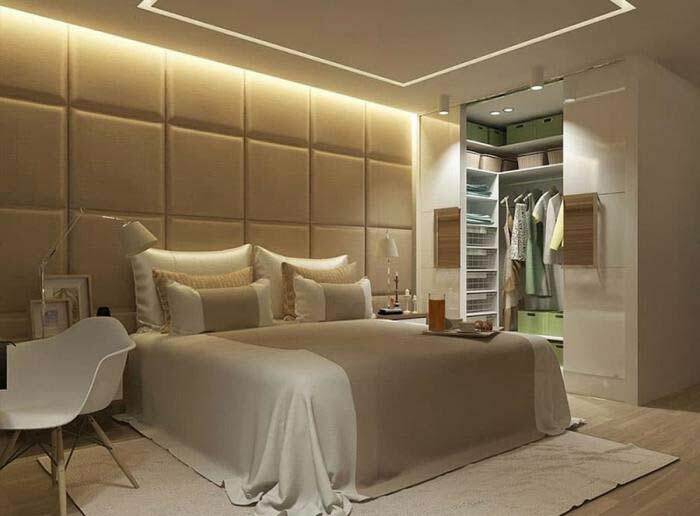 What cannot do without a single bedroom? Here you will see how the fashionable bedroom design 2019, photo 2019, modern ideas, cool new items, much more should look like. sometimes the most actual trends are already appearing somewhere and sometime, but for some reason, they were left without due attention. And sometimes it happens: some idea becomes a cult and dictates the fashion of the whole next season. And even longer (as it was, for example, with the film "Dandies"). Whatever one may say, a wall fish tank in the house, installed on a table or pedestal, is considered a triviality, even if talking about a large capacity. This is a simple design, and in order to independently create such a corner of wildlife, much effort will not be needed. 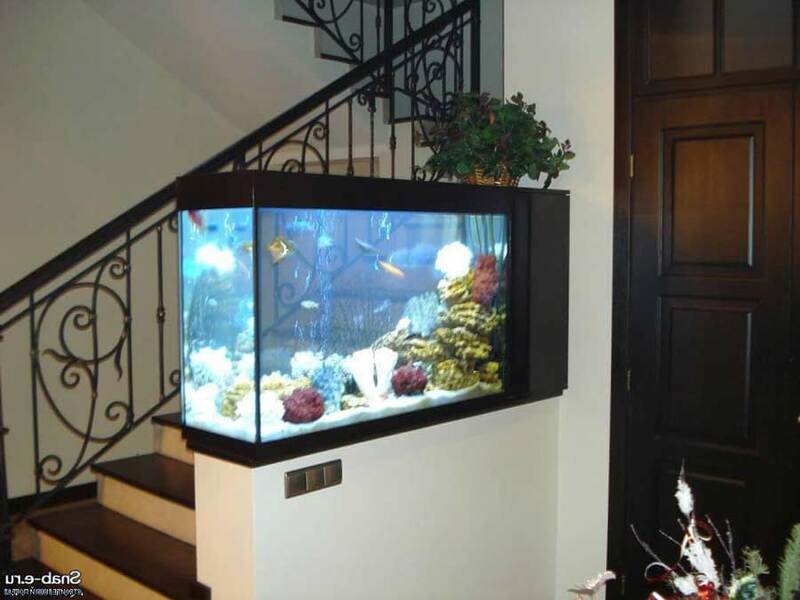 Another thing - the original installation of the wall aquarium, when it is mounted in a very unusual place. 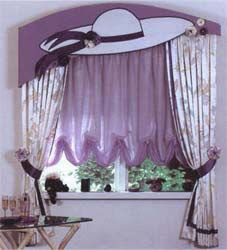 For example, on the wall - here it looks very unusual, you can even say that it is stylish and attractive. 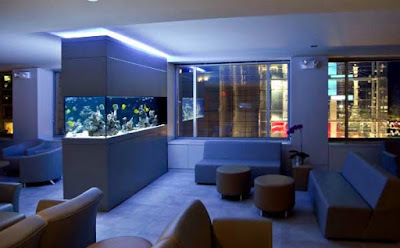 The aquarium built into the wall is a unique design solution, and sometimes even a functional product that can be used as a lighting fixture. How to make such a wall fish tank? But with this question, we will understand this article, which together with the site stroisovety.org will study its technical side and everything connected with it. 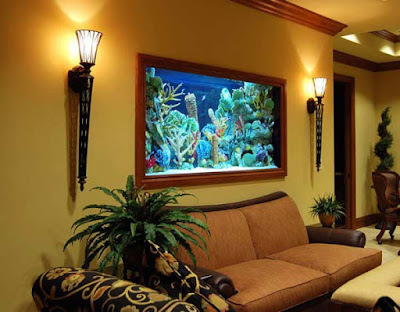 At once it is necessary to decide how the wall fish tank will be installed - in the sense that it will have a one-sided view or be viewed from two sides of the wall from different rooms. 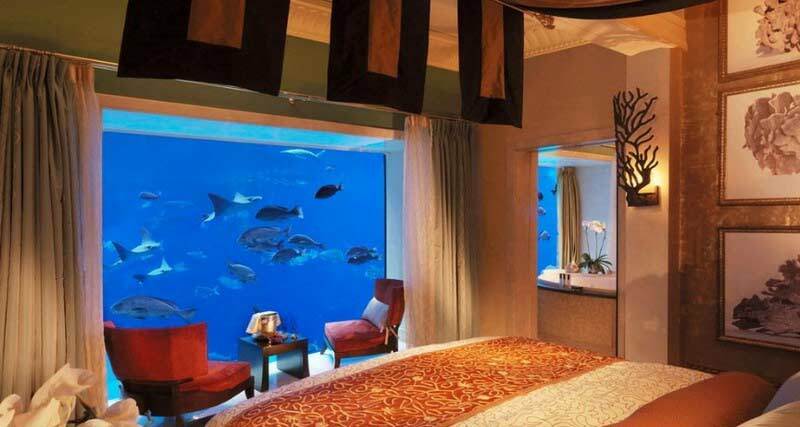 Watching fish from two different rooms is a very attractive prospect, but not always acceptable. 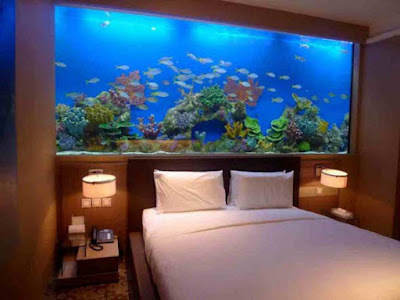 Take, for example, a wall fish tank that connects the bedroom and the living room. Agree, in the bedroom, such a decor is not entirely appropriate, especially if you take into account the sounds of the compressor working in the aquarium. 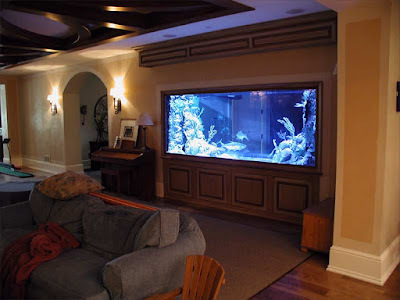 In general, you need to proceed from the circumstances and choose the right place for installing the built-in wall aquarium, and perhaps on the basis of the circumstances, you want to make it visible from one side. Niche for a one-way aquarium. The most important subtlety in this matter lies in two points. Firstly, it is a solid foundation, capable of withstanding loads - the place where the wall aquarium will stand. Gypsum board and profile construction here will not work - at least we need aerated concrete, brick and so on. From gypsum cardboard, it is possible to form only the upper part, on which the wall aquarium does not create any loads. 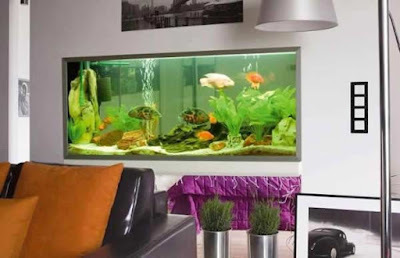 Secondly, this strengthening of the upper part, if the niche is cut in the wall aquarium - you need insurance of the upper bricks in the form of a powerful crossbar from the metal corner, cut into the wall aquarium and protruding beyond the niche by at least 150 mm. Opening for a two-sided wall aquarium. With the opening of the aquarium, things are the same, except for one thing - insurance of bricks is needed from two sides. In addition, if the opening is made in a bearing wall and it has a width of more than half a meter, it will be necessary to make additional reinforcement. 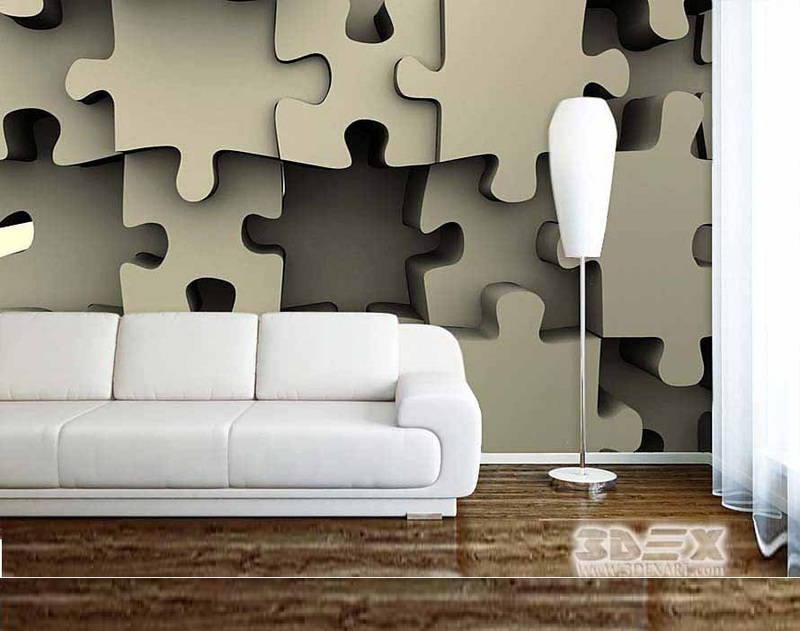 Simply put, all of the same corners in the opening will need to build a metal frame - and a double frame that will wrap the wall on both sides. Two of its halves are simply required to make one whole (that is, they are connected to each other by welding). We should not forget that the niche must have exact dimensions and, most importantly, be located in all possible levels. That is, its sides should be oriented vertically, top and bottom horizontally - all angles should have an angle of 90 degrees. In principle, if there are minor deviations, it is not terrible (they are eliminated by finishing: plaster, putty, or plasterboard, installed on the glue). Again, the base of a niche or aperture needs to be plastered - as an option, you can make sure that under the plasterboard all the space was filled with glue without missing. The size of the opening or niche is very important. And not even because the wall aquarium may not become on the intended place or a gap between it and the opening will not be overridden. This is just the smaller of the problems - it is very important that in addition to the wall aquarium, the niche can accommodate all the equipment necessary for its operation. 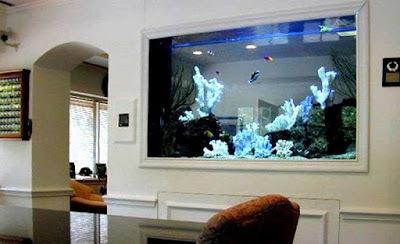 Yes, having a compact size, now it is free to fit into the wall aquarium itself, but, you know that it is not aesthetically and technically illiterate - the equipment must have a consolidated access for maintenance. 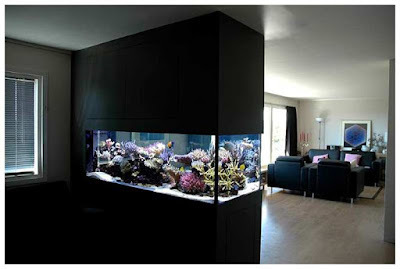 Otherwise, to change or clean the same filter, you will have to completely dismantle the wall aquarium. This formulation of the question suggests that the height of the niche should be increased by at least 100 mm relative to the height of the wall aquarium - here it is necessary to look at the equipment and its dimensions. Not much is not enough, and to place above the glass container you need a filter, an air compressor, and a backlight, and all this must be connected to the mains by means of outlets. And that's not all - among other things, you need access to feed waterfowl. 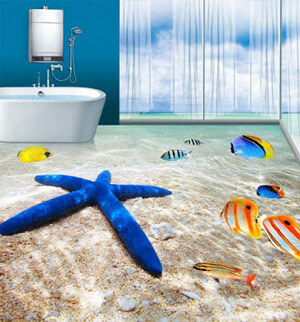 If, of course, you do not refuse them and do not create just a water decor. 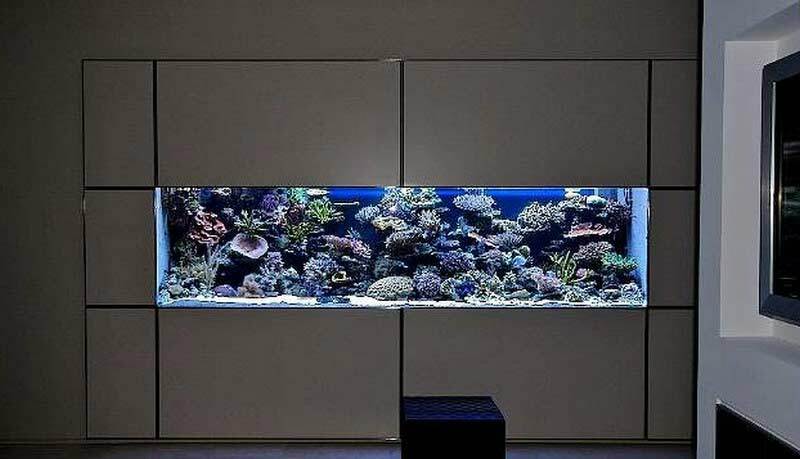 Also, if we talk about the width of the niche or the opening of the aquarium built into the wall, we need to take into account the finish, since it also takes place. 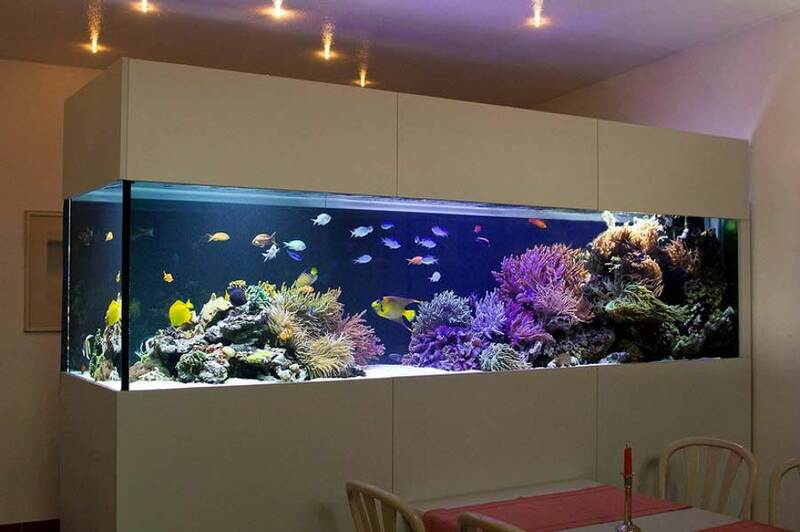 A simple example - if you cut a niche clearly in accordance with the dimensions of the glass container and then finish it with plasterboard, then the wall aquarium may not fit in its place. In general, we need allowances - in addition, a small technological gap of about 10 mm on each side is required, which will greatly facilitate the installation of the tank. Subsequently, this gap easily overlaps with slats, slats or special plastic platbands - in general, this is not a problem. 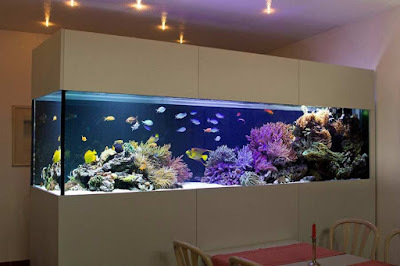 In addition, it will be necessary to take care that the flat wall aquarium does not protrude beyond the wall, but is clearly located in the plane with it. 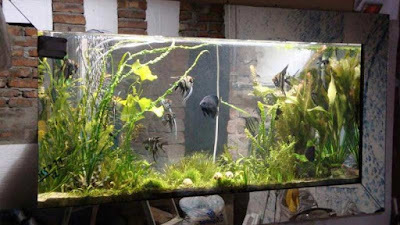 The most difficult thing is to achieve this in a situation with a two-way aquarium when the container should be flush with the wall on both sides. 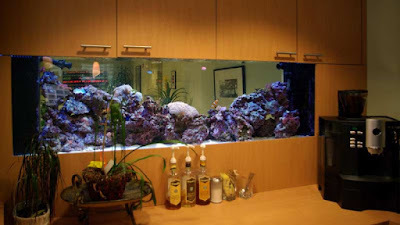 The best way out in such situations is to first make a niche or aperture of the right size and already proceeding from this order a glass container. In principle, for a unilateral wall aquarium, this will be an ideal approach to business. 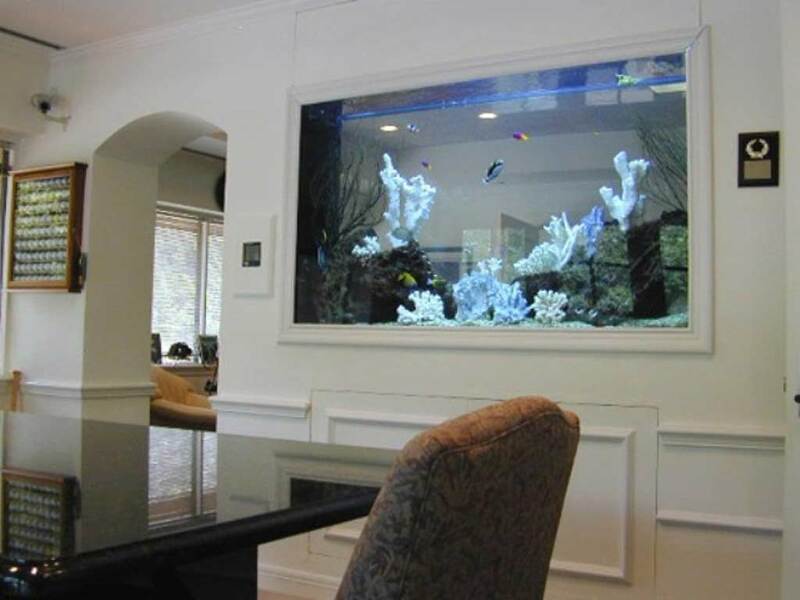 As you understand, it is possible to glue a wall aquarium not only with the right dimensions but also with the required shape and configuration. 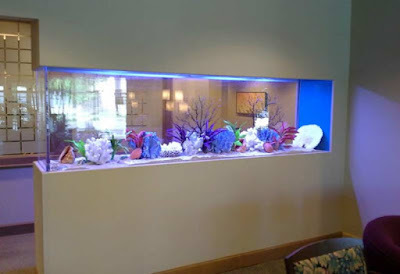 How to make an aquarium on the wall: other important "little things"
It's not a secret for anyone that in any business there are no trifles - it is from them that the overall picture is formed. Many small defects - this is a hack-work, as a result of which the reliability of the structure, its appearance, and other important performance characteristics suffer. So-called "trifles", depending on local circumstances, there may be many, and all of them should be foreseen. If we talk about the most common points of this plan, then you can distinguish the following nuances. 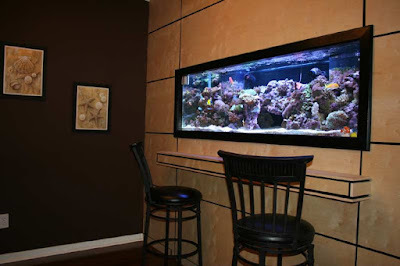 The base on which the wall fish tank is installed. The ideal installation plane is very important. 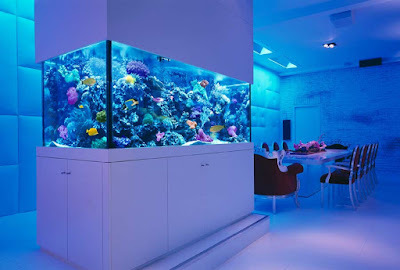 In order to understand what is being said, I will say so - the non-ideal plane of the lower surface can lead to the fact that after the installation of the container, or rather, its alignment with the lower part of the wall, the top of the wall fish tank can protrude from one side, and on the other, fall into a niche or an opening. Force to level? In this case, nothing good will come of it - the load on one side can lead to depressurization of the tank.Fastening the wall fish tank. It may seem that under its weight the aquarium will stand securely. On the one hand, this is the case, and on the other side, it is also necessary to take into account the human factor - if it is inaccurate to lean on (and this possibility can not be ruled out), this can lead to catastrophic consequences. Mounting the wall fish tank must be - and securely and its top and its bottom. No, nothing to screw anywhere is not necessary - just take care of the limiters, which will not allow the capacity to move in either direction. 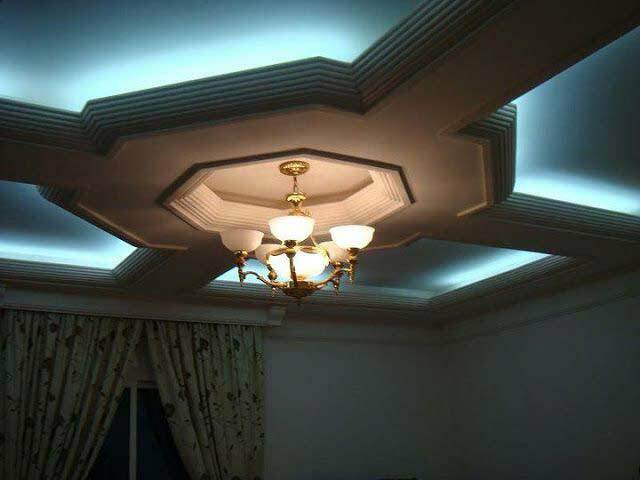 In addition, you should not lose sight of such moments as the impact of moisture on the wall or opening: in a good way, you need waterproofing. 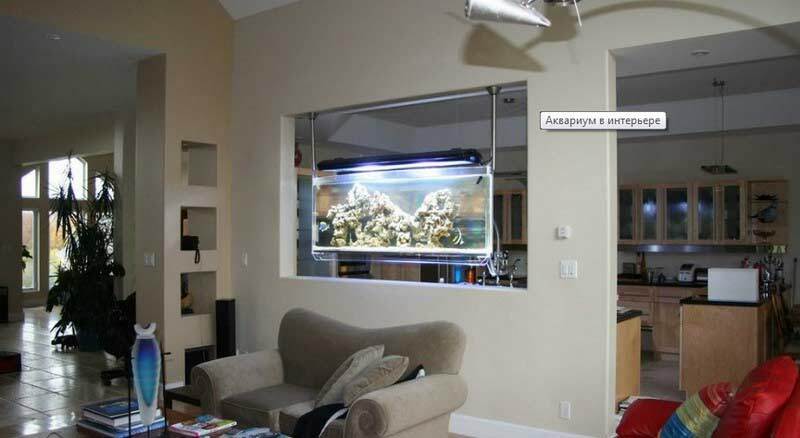 As an option, you can organize around the wall fish tank quality ventilation. Also, remember about electrical safety - at least you should take care of the grounding and use of moisture-proof sockets. 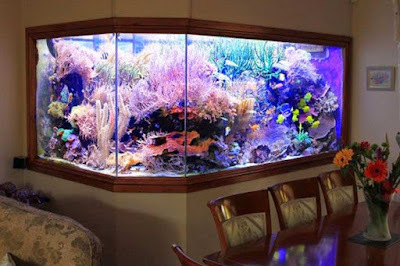 And in conclusion, the topic of how to make a wall fish tank, it remains to add only one thing - to say about such a thing as a hanging mount. 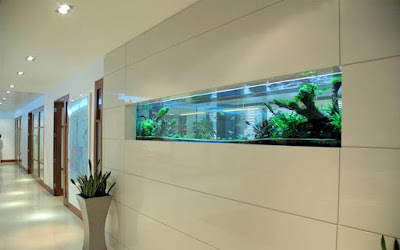 The aquarium can be suspended evenly in the center of a large opening on a special structure of pipes, which are also used as a place for wiring of air supply pipes and filtered water. Technologically, it's very difficult to make such a design with your own, but if everything is well thought out and found a skilled performer, then this is quite realistic. 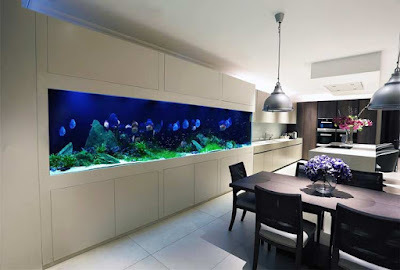 Such wall fish tank visually does not reduce the room, but, on the contrary, give it a volume and a very impressive perception.